Law enrorocement units from Piqua and surronding agencies respond to the Piqua Walmart on Monday afternoon on the report of shots fired. 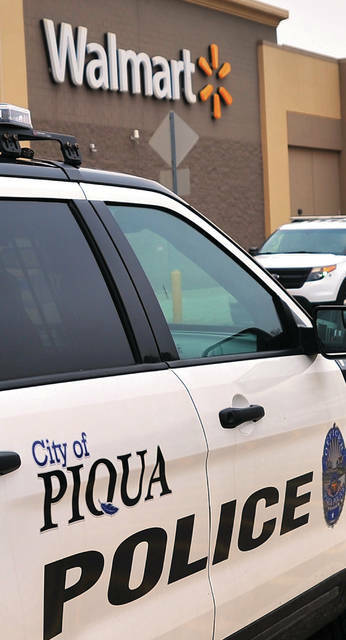 PIQUA — A pair of incidents, both reportedly involving weapons, kept Piqua police officers busy on the east side of Piqua on Saturday evening. Police were first called to a disturbance at the Piqua Walmart store on East Ash Street at 7:44 p.m. The frightened teens called Miami County 911 to report the incident. Piqua police officers responded, as did units from the Piqua post of the Ohio State Highway Patrol. Officers located the suspect, identified as Nathan G. Street, 34, outside the Walmart store. He was found to have a weapon, a BB gun that closely resembled a real handgun, stuck in his waistband. Street was taken into custody and had been charged with inducing panic, carrying a concealed weapon, aggravated menacing, and obstructing official business. 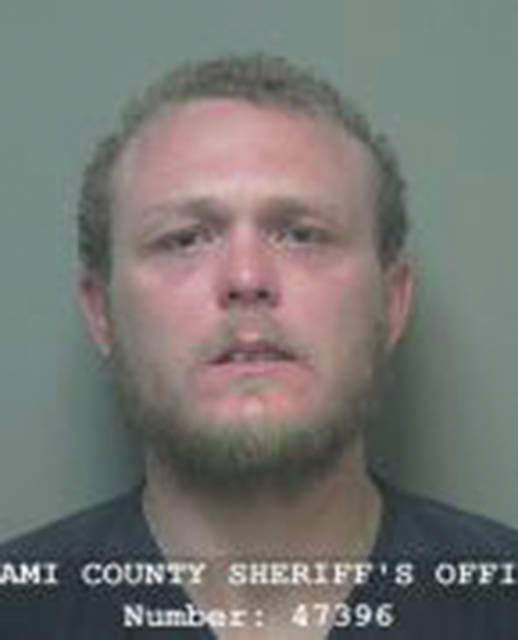 Street is incarcerated at the Miami County Jail and is scheduled to be arraigned in court on Tuesday. Byron said the inducing panic charge stems from one of the teens suffering a panic attack due to the incident. Piqua Fire Department medics were called for the teen. She was checked out at the scene, but not transported to the hospital, according to Piqua officers. As officers were wrapping up their investigation at Walmart, another incident was reported. At 8:03 p.m. teens in a vehicle at the Marathon station on Looney Road reported that a subject in another vehicle brandished a firearm. The alleged suspect vehicle proceeded east on East Ash Street, where Piqua police and Ohio State Highway Patrol troopers were already working on the previous call. The suspect vehicle was spotted at the China Garden East restaurant area. “A felony stop was made,” Byron said. A search of the vehicle and person inside failed to locate a weapon. Byron said the case is considered to be unfounded. “After talking to the teens, they then said they ‘thought’ they may have seen something that may have been a weapon,” Byron said. While the second incident proved to be unfounded, Byron said it was fortunate that officers were on the scene so quickly. https://www.dailycall.com/wp-content/uploads/sites/30/2019/02/web1_121018mju_ppd_walmart_shortsfired-3.jpgLaw enrorocement units from Piqua and surronding agencies respond to the Piqua Walmart on Monday afternoon on the report of shots fired.